Wave heights and periods, as well as water levels and surges are required for design or assessment of coastal structures. This is often work for a specialist with large experience as low-crested structures and foreshores may change wave conditions drastically. And wrong hydraulic conditions may lead to structural or functional damage or the structure may be designed too expensive. Van der Meer has large experience in determining design conditions. You will find a few examples below. The stability of the seaward side of the protecting dike has to be improved. Design conditions have been determined, including effects of sea level rise. 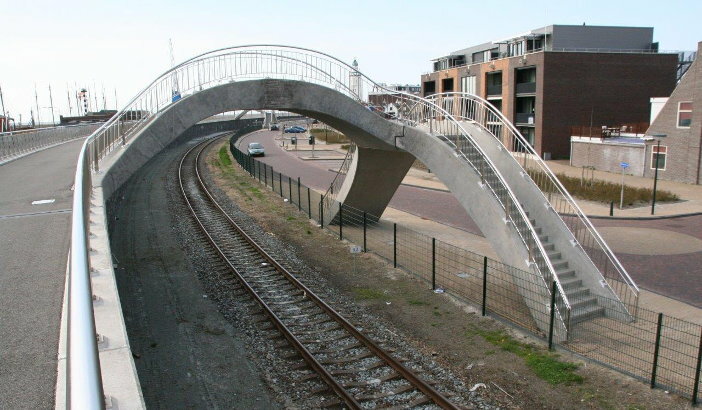 Moreover, the recent definition of "Robust design", as given in the new Guideline on river structures, has been widened by Van der Meer to sea dikes. 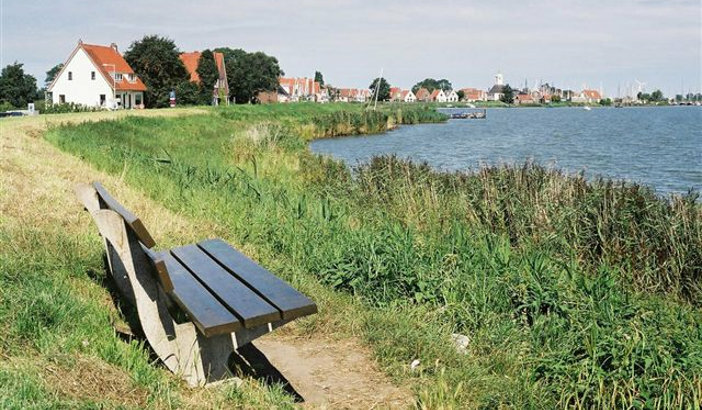 The method has been approved by the Dutch ENW (Expertise Network Flood Defences). 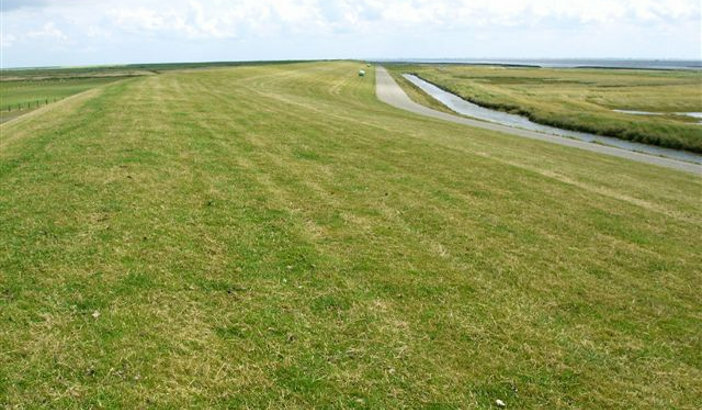 Member of the committee with objective to control the quality of the 5-yearly obligation by the Dutch government to publish hydraulic boundary conditions for safety assessment of all flood defences in the Netherlands. 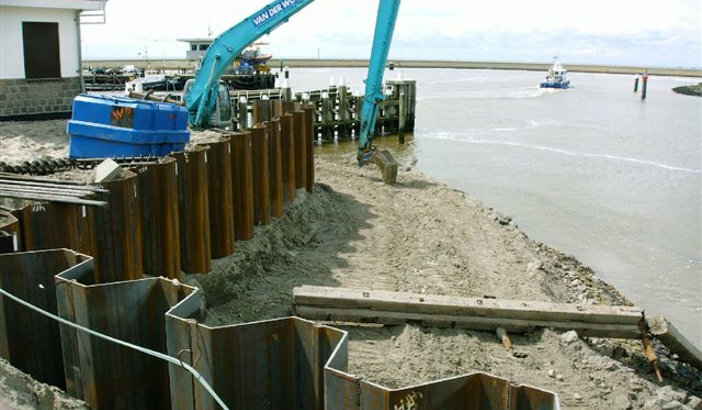 Flood defences in Harlingen are protected by low-crested breakwaters, submerged under design conditions. Van der Meer was involved in assessment of the design conditions, including wave transmission, wave penetration and reflection, together with local wave growth at short fetches. The stability of the low-crested structures was also tested in the Delta flume of Delft Hydraulics. 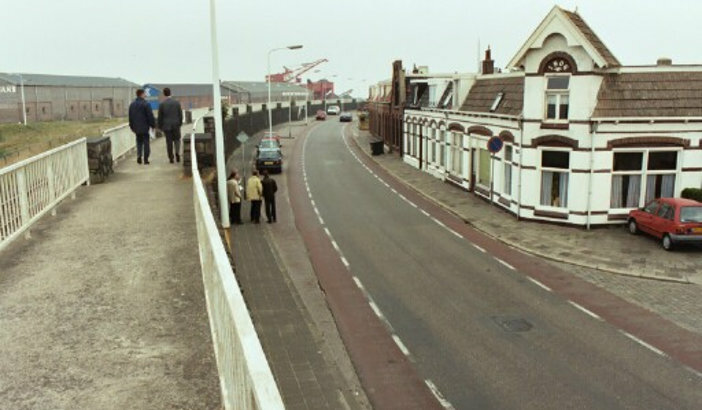 Former situation in Harlingen, old defence seawall.